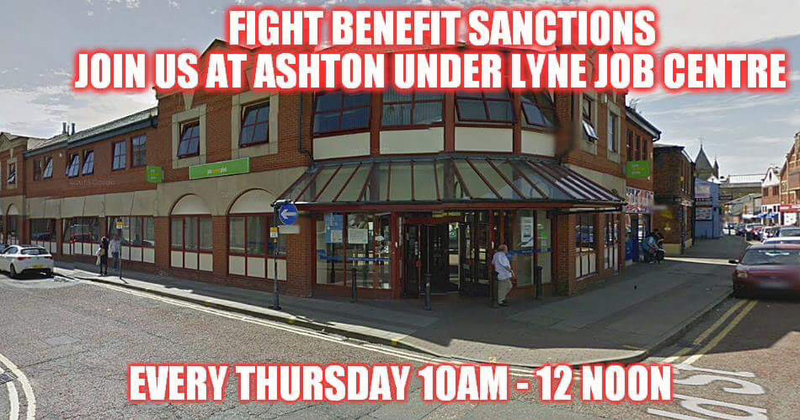 Dear readers as many of you will know we have a special Christmas memorial service outside Ashton Under Lyne Jobcentre every year. We do this in memory of every person who have died as a result of the government’s heartless treatment of the poor and disabled. I call it a war against the poor because that’s exactly what it is. Of course the government have taken away many of the means that people can fight back in the way if appeals etc. Legal aid is almost non existant and organisations that help people have had their funding cut to the bare minimum. Be aware that this is all done purposely. The government regards us as a burden, not worthy of any help. In fact not worthy of anything. So five years ago myself and others decided to fight back. I personally know people that have committed suicide because of the government’s cruel regime as have others. I felt that I needed to take a stand so here I am five years later. 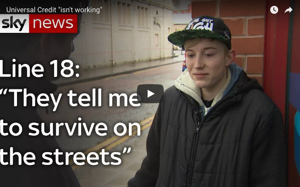 The awful fact is that more people are committing suicide than ever before, more people are forced to live in extreme poverty than has been known in modern times, but still all the press are interested in is what Jeremy Corbyn did or didn’t say. People are dying. A further three million people will be forced into poverty next year due to the further roll out of universal credit. Myself I feel that number is quite low. Even more children will be forced to go hungry, their parents will be even hungrier. Homelessness will increase drastically due to the long wait for a universal credit payment to be processed and landlords not wanting anyone claiming any type of benefit to live in their properties. Many self employed people will be forced out of self employment because they don’t fill the government’s impossible remit for self employment under universal credit. More and more disabled people will be persecuted by the government, be made to go hungry and not able to access the care that they desperately need. We need to continue to fight against this cruel government and to be honest we need to stop being so nice about it. Remember this could happen to you and the safety net that you were relying on to catch you is no longer there. I spoke to lots of people today, none of whom could afford food over Christmas. We handed them food parcels which will tide them over until next week. After paying all of her bills off she’s left with £90 a month for her and her son to live off. To buy food etc. Could you manage on this small amount? It’s impossible, so she’s now reliant upon food banks to literally keep them both alive. Here’s some photos and some footage of us releasing doves in memory of everyone that have died due to the government’s heartless treatment of the poor and disabled. Theres also footage of our appropriate Christmas carols from the Glossop branch of unite Community. Thank you to everyone for coming along today, I’m very emotional now so I’ll leave it here. Thank you for reading and sharing my blog. Also many thanks to everyone that supports my blog and campaign.